NASHVILLE, TN – As the fascination with mobile restaurants continues to grow, Nashville has a new addition to its ever growing fleet of food trucks. 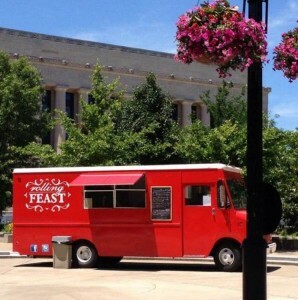 The Rolling Feast is the latest of eateries on wheels to hit the Nashville streets, offering up a fresh selection of southwestern and Latin inspired menu items. The founders of the Nashville food truck, The Rolling Feast, are happy to announce they have hit the streets and are now serving up their original gourmet recipes from parking lots and side streets all across town. Founded by two Nashville transplants that refined their culinary expertise on the west coast, The Rolling Feast is one of the few food trucks in Music City that offers meals with a Latin American flavor. The Rolling Feast was conceived and created by the husband and wife team of Tom and Cynthia Mead, both of whom have extensive experience in the food industry. Graduates of the California Culinary Academy in San Francisco, the couple are introducing a new style of food truck fare to the Nashville community. 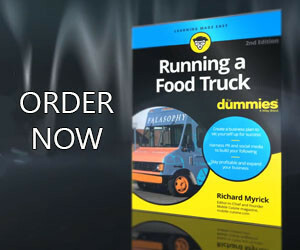 With more than 20 years of high-end dining experience and formal culinary training, Chef Tom Mead designed the entire interior of the Nashville food truck himself to ensure proper flow and the best quality of service. Reaching back from his experience as an executive chef of a Tucson, Ariz. southwestern style bistro, The Rolling Feast chef prepares each menu item from scratch. Every dish is made on the truck, using fresh, local ingredients. The award winning chef’s menu includes Southwestern/Latin American selections such as: Green Chile Pork Carnitas, Nachos with Poblano Chile Queso & Chorizo and Sonoran Dogs. Each plate is seasoned and styled to bring across the zesty flavors of the Southwest to hungry food fanatics of the Mid-South. The cheery red food truck is hard to miss cruising your local neighborhood and is also available for private parties and special events. For those wanting to give The Rolling Feast’s unique take on Latin American cuisine a try, they can find a calendar of scheduled stops on their new website. For more information about The Rolling Feast or to reserve the truck for a special events, call 615-979-1533 or send an email to therollingfeast@gmail.com.